The varsity has promised to provide a ragging-free and disciplined campus to all its freshers. Delhi University which is one of the finest public central collegiate universities of the country has taken a significant step ahead of the commencement of the new academic session 2017. The varsity has promised to provide a ragging-free and disciplined campus to all its freshers. 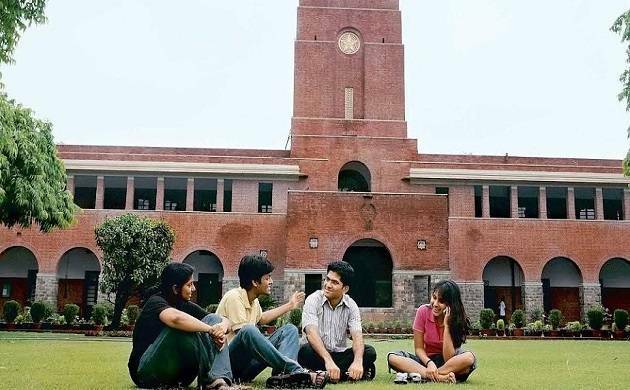 DU has also organised a proctorial meeting with the officials of DTC, Delhi Metro and the Delhi police on Saturday and has taken a strong decision to make the campus safe and friendly for women. In order to provide further protection to its female students the university is also in talks to build up two control rooms in both North and South campus which will ease the induction process of the freshers from July 20 to 2nd August. According a latest release, issued by the university, incidents like curb-ragging or eve-teasing will also not be entertained in the premises and from now on women police personnel in plain clothes will take care of the same. All colleges affiliated under the university will receive police picket points while all eating joints on the campus will be under extra vigil. "The Delhi Metro has been requested to make announcements in trains and stations about the varsity being intolerant towards ragging," reads the release. Defacing of walls with graffiti and sensitive posters, unauthorised entry of outsiders to hostels have been prohibited, the release further added. While the varsity have put the sensitive areas of the campus under electronic surveillance, students are also free to report any case of ragging or assault to on national anti-ragging helpline 1800 180 5522 or the North Campus control room (27667221) or on South Campus number 24119832.